Adult $11. Concession $8. Family $30 (two adults and two children). Self-guided tours are available all day and an entry fee applies. 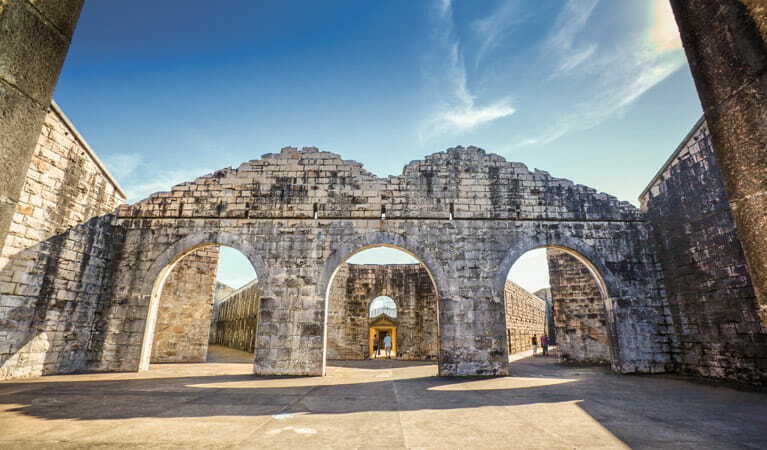 Allow about one hour to explore the gaol. 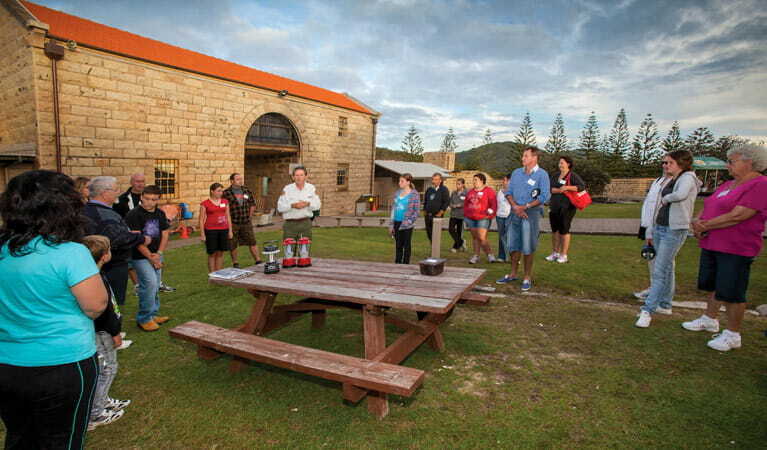 Trial Bay Gaol is available for events and function hire. Peak rates apply from 1 December to 31 January and NSW school holidays (excluding winter school holidays). Shoulder period is from 1 February to the start of the Easter holiday break. 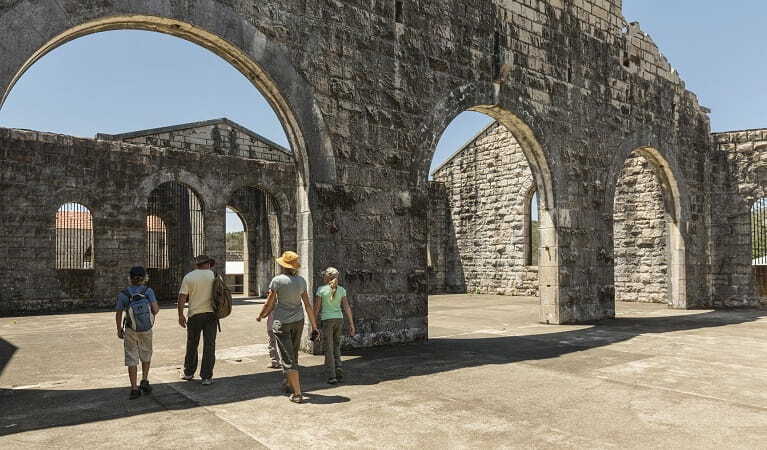 Between August and September, Trial Bay hosts the annual Sculpture in the Gaol, a public sculpture competition. For more information contact the park office. For more information about the German internees, please visit the Migration Heritage Centre website. Mermaid Pools, near Trial Bay Gaol, is not recommended for swimming. Large waves wash over the area and visitors can be swept off the rocks. 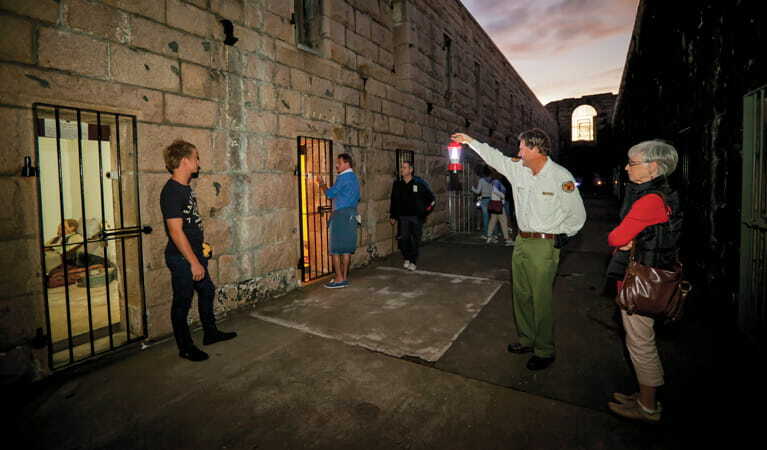 Wander through the old Trial Bay Gaol at sunset. 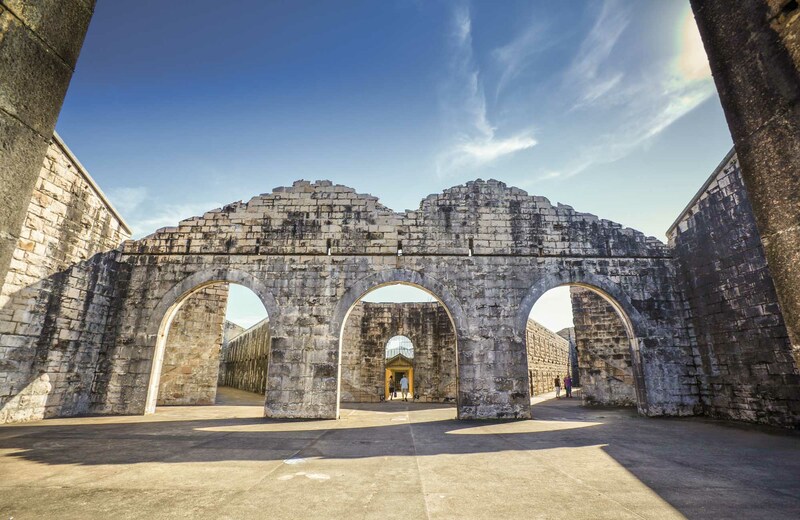 Hear about the prisoners' crimes and deeds here during World War I. Come along and find out what life behind bars was really like for the prisoners here. 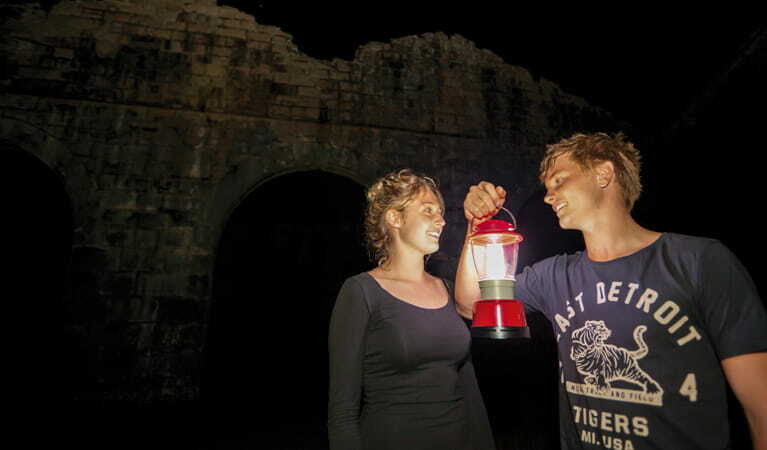 Trial Bay Gaol, in Arakoon National Park, is brimming with stories.